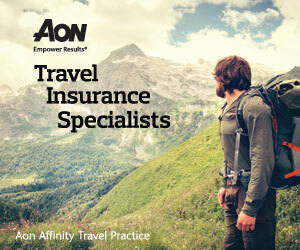 U.S. Hispanics represent more than $56 billion in leisure travel annually. Purchasing power of Hispanics is forecasted to grow from $1 trillion in 2010 to $1.5 trillion in 2015. (Source: Selig Center for Economic Growth). Speaking with cultural relevance includes using social media and a varietyof websites that Hispanics use to stay connected with their roots, family and home countries. Social media also is how a significant number of Hispanics gain ideas for travel. What is the Hispanics in Travel Caucus? The Hispanics in Travel Caucus brings together professionals, executives, organizations and thought-leaders involved in the Hispanic travel market. The goals of the caucus: 1) to meet and connect with industry colleagues involved in Hispanic travel; 2) discuss trends, challenges and opportunities in Hispanic travel; 3) exchange strategies, insight and ideas meaningful to the marketplace; and 4) build a coalition of NTA Hispanic travel leaders, members and delegates NTA has hosted several Hispanics in Travel Caucuses. NTA has a relationship with ThinkNow Research, a leading Hispanic Market research company. Together we are working to provide NTA members with the latest travel trends, research and studies in the Hispanic marketplace. 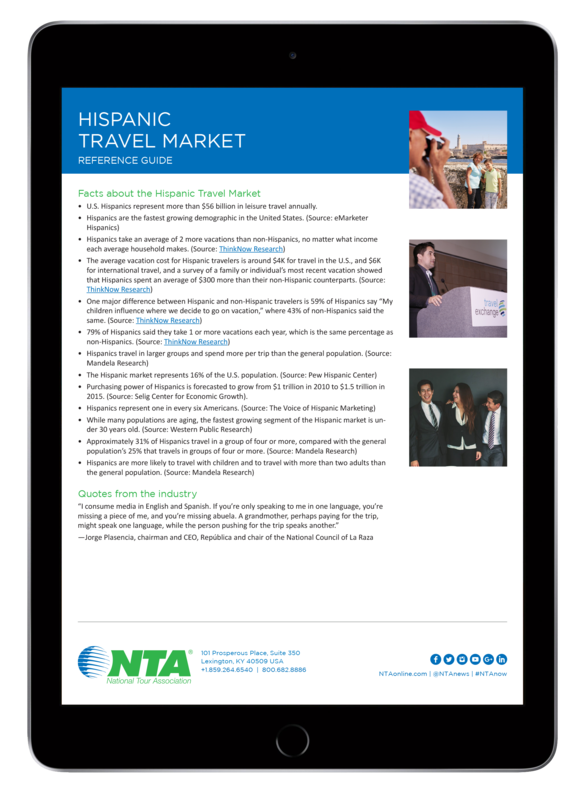 Download the Hispanic Travel and Vacation Trends study, published by ThinkNow Research which covers the travel and vacation habits of U.S. Hispanics. NTA features a section on NTAonline.com dedicated to providing information and educational resources about the Hispanic travel marketplace. NTA Hispanic Market Advisory Group NTA has a volunteer leadership advisory group dedicated to promoting the importance of working with and understanding the Hispanic market.